The death toll from October's wildfires stands at 42, and thousands more have lost homes in the most devastating natural disaster in the North Bay. 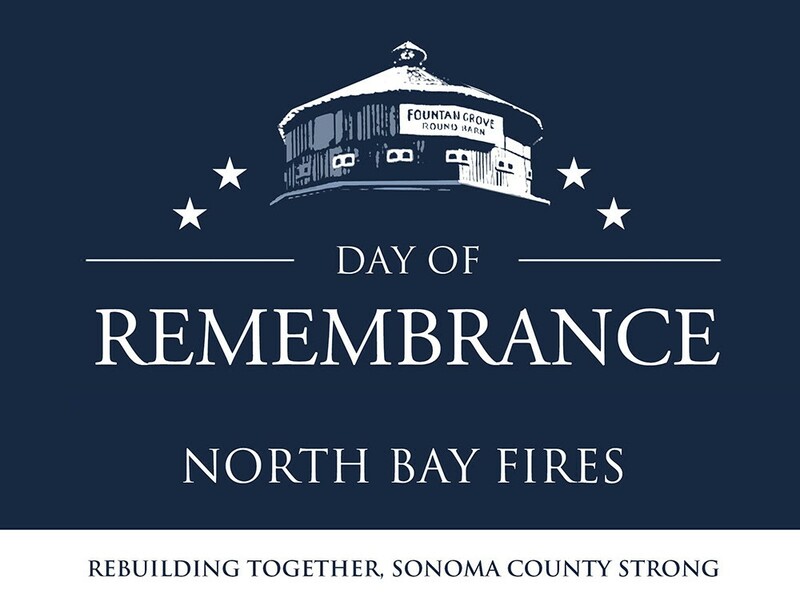 Now that the community is turning towards rebuilding, Sonoma County is taking a day to remember those who died, comfort those who lost homes and businesses, and thank the tireless first responders who saved so many. Taking place on Saturday, Oct. 28, the Day of Remembrance invites the community to gather at the Santa Rosa Junior College for an event that will feature the Fire Department color guard, local law enforcement honor guard, Sonoma County Sheriff Rob Giordano, CalFire chief Ken Pimlott, Santa Rosa fire chief Tony Gossner and others. On behalf of those who died, the color guard will perform on bagpipes and ring the firefighter memorial bell. Music from Transcendence Theatre Company and messages of healing from interfaith leaders will inspire resilience for those who are struggling, and community leaders will be on hand to reflect on what it means to be "Sonoma Strong." Sonoma County Day of Remembrance takes place on Saturday, Oct. 28, at Bailey Field, SRJC campus, 1501 Mendocino Ave, Santa Rosa. Doors at 10am, event begins at 11am. Free admission and parking. There will be seating in the bleachers, and families are welcome to bring blankets and sit on the grass field. Click here for more info.